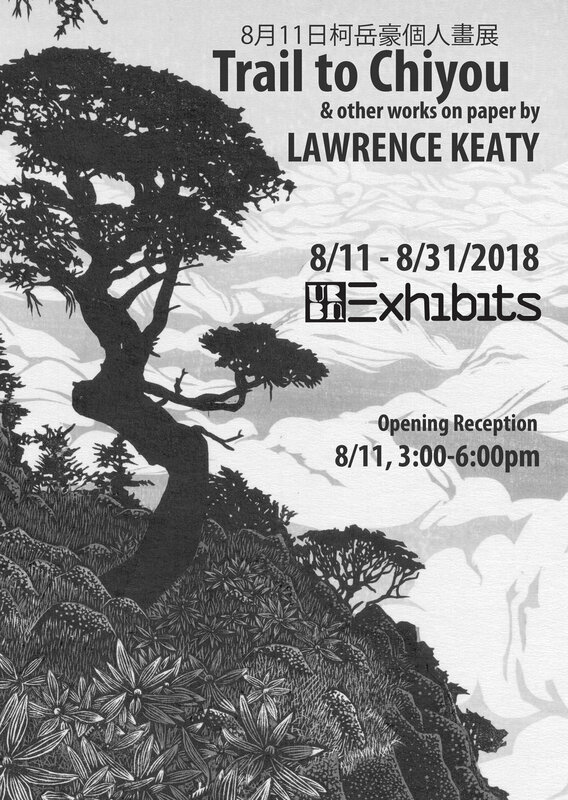 Lawrence Keaty was born in Taipei and grew up in Shanghai. He received a BA from Kenyon College (2008) with a major in Studio Art and he earned his MFA from Washington University in St. Louis (2010). Since finishing school he has lived in South Australia, Taiwan, New Mexico, and Busan. Over the past ten years his artistic interests have spanned a wide variety of mediums and subjects. He has worked in stop motion animation, miniatures, pencil drawings, and woodblock prints. Many of his pieces are autobiographical and place bits of his own life into the realm of fantasy. Evident throughout his work is also a keen interest in nature.